Enjoying the added bonus of newer construction, Plaza Midtown Condos offers more than 450 condominium units, with your choice of one- and two-bedroom floor plans. The individual condos are spread out across dual high-rises, each standing 19-stories high and complimented by an on-site grocery store, fitness center and other highly enjoyable amenities. Along with ground level restaurants and retailers, the building also features an outdoor swimming pool, a clubroom, a 24-hour concierge and the privacy of an oversized rooftop park, supplemented by mature landscaping. This pet-friendly building sits in Midtown Atlanta, at the corner of Peachtree Place and West Peachtree. The superb location is just across from public transportation, making for an easy commute into downtown, as well as a short distance from area museums, retailers and parks. Ranging from around 760 to 1,600 square feet in size, it’s common to find such high-end features as private balconies, large windows, stainless steel appliances and granite countertops within the condos of Plaza Midtown. If you’d like more information about One Museum Place condos for sale in Atlanta, call us today at (404) 564-7272, or click below to start browsing active listings at this amazing Midtown condo development. Listed below are recently closed sales at Plaza Midtown in Atlanta. Whether you’re thinking about buying or selling a condo at Plaza Midtown, checking to see what other comparable properties have sold for in recent weeks and months provides helpful insight into current market conditions within the community. 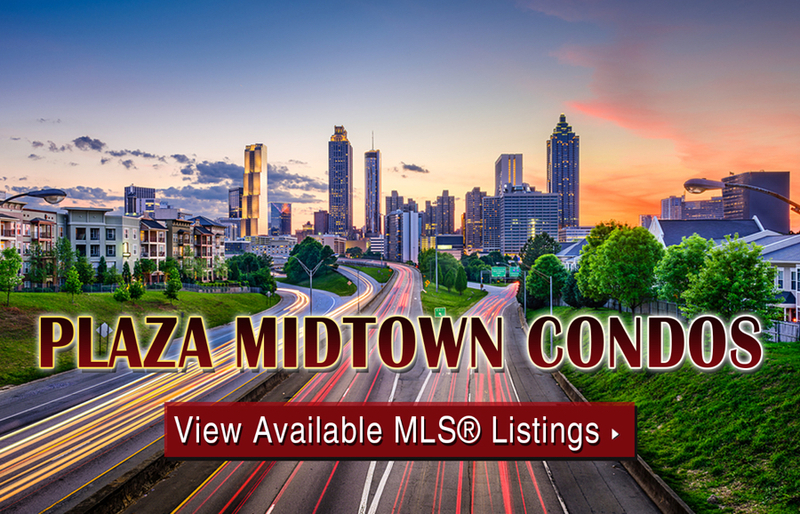 For more information about Plaza Midtown condos for sale or for a complete list of recent homes sold in the neighborhood, contact The Zac Team today! Can’t find what you’re looking for at Plaza Midtown? Start browsing other Midtown real estate for sale or give the Zac Team a call at (404) 564-7272 for help with your new home or condo search today!